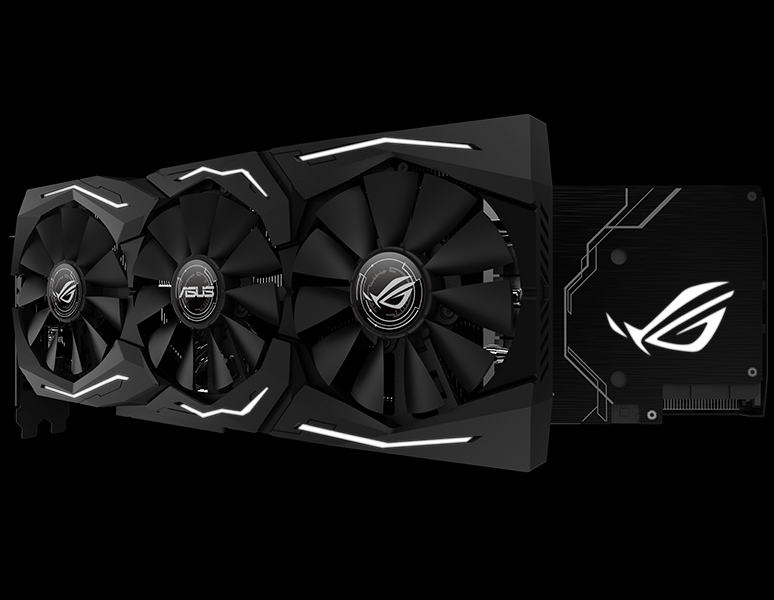 The ROG Strix features Aura RGB lighting on both the shroud and backplate. 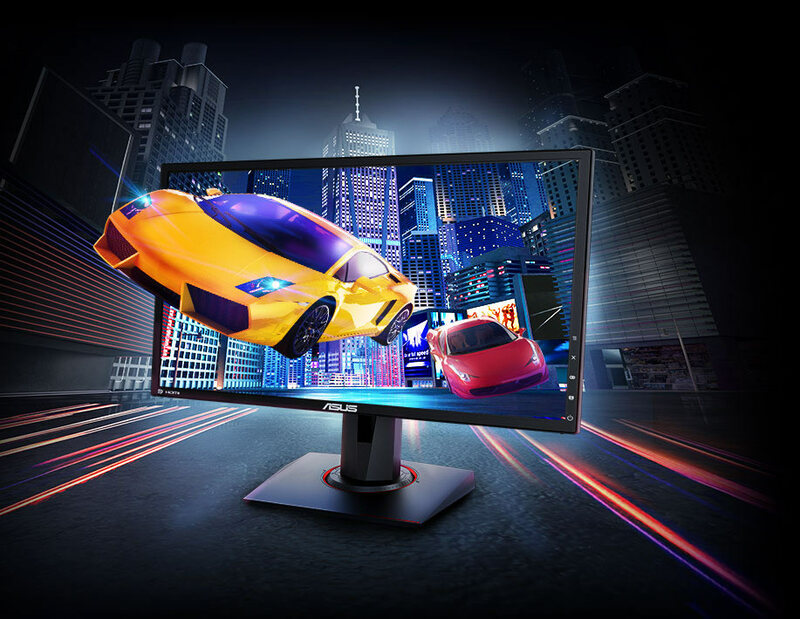 Get Aura Sync software to connect compatible products and create a completely customized gaming setup. You can sync illumination to music, set lighting to change color based on temperature, or select from a large number of patterns and static options. 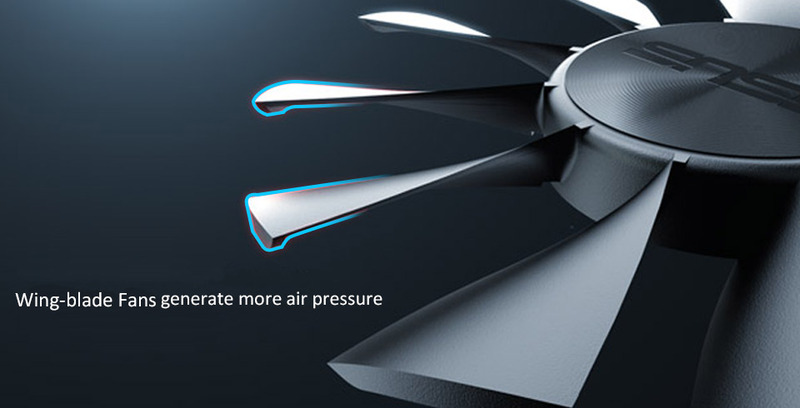 Our patented Wing-blade fan design keeps things cool and quiet, delivering 105% greater static pressure over the heatsink compared to traditional axial fans. IP5X dust resistance seals the fan's internals from particle ingress to keeps things running smoothly. 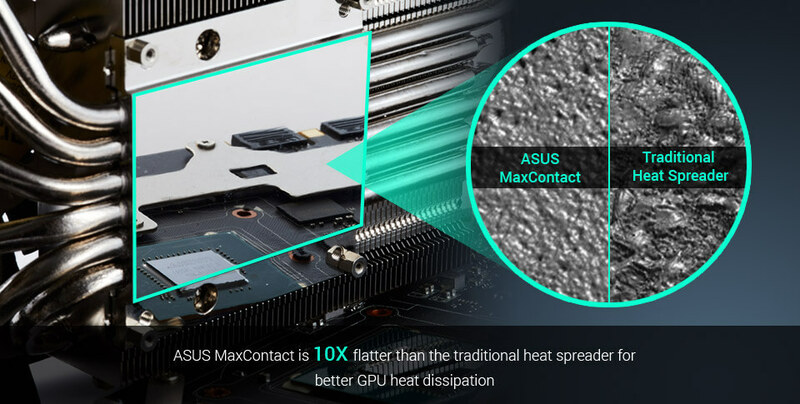 MaxContact is an industry-first technology that utilizes precision machining to create a heat spreader surface that makes up to 2X more contact with the GPU chip, resulting in improved thermal transfer. 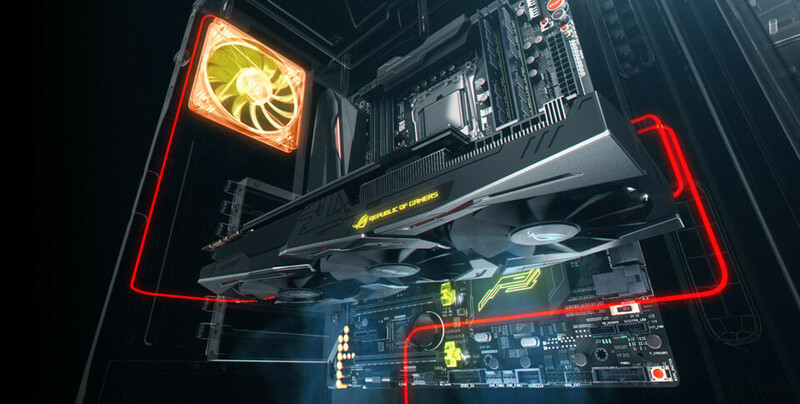 ASUS FanConnect II features two 4-pin, hybrid-controlled headers that can be connected to both PWM and DC system fans for optimal system cooling. 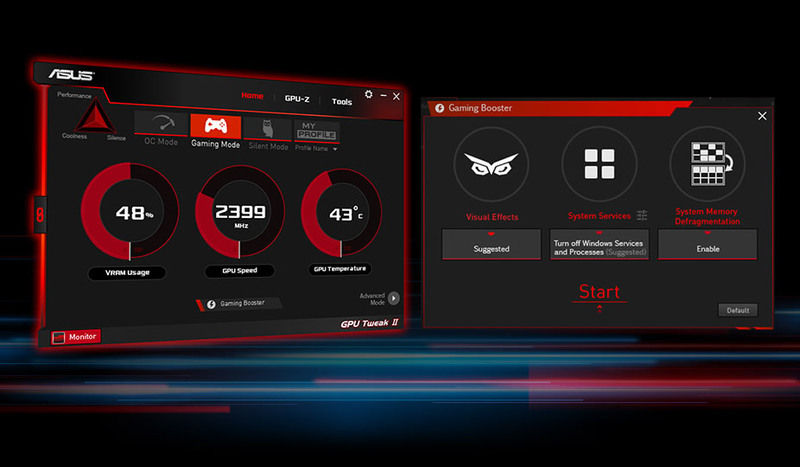 Connected fans react to GPU and CPU temperatures, so that your system is optimally cooled no matter what you do. A comprehensive set of tuning options allow you to tweak fan speeds for your preferred balance of cooling and acoustics. Gaming shouldn't be a choice between choppy gameplay or broken frames. 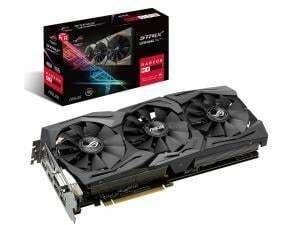 With the ROG STRIX Radeon RX 590, it doesn't have to be. 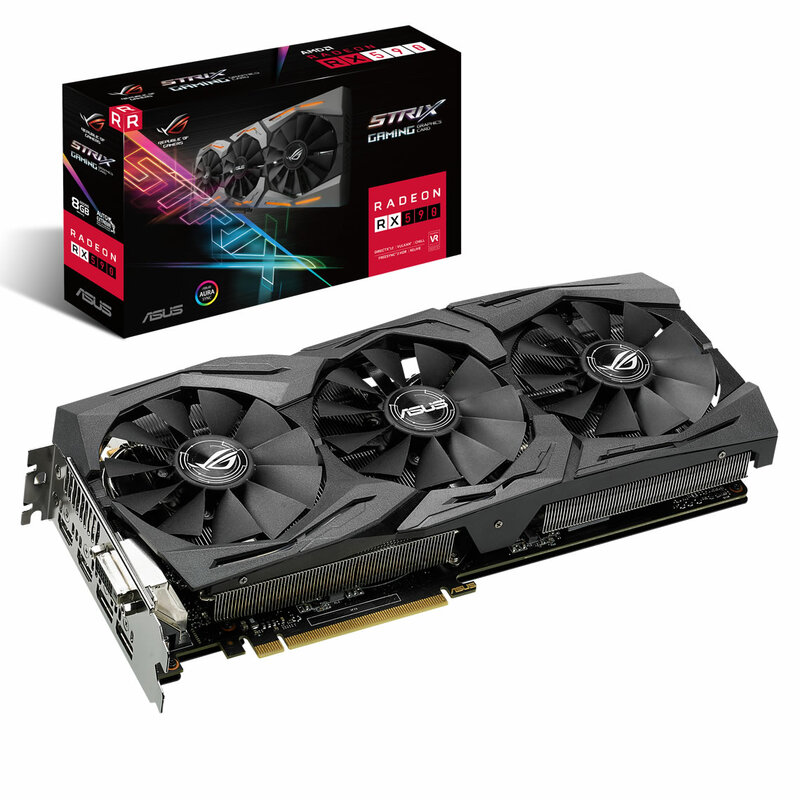 Get fluid, artifact-free performance at virtually any framerate with Radeon FreeSync™ technology*.
. To have the best cooling performance, ASUS ROG-STRIX-RX590-8G-GAMING extends the fansink to 2.5 slots. 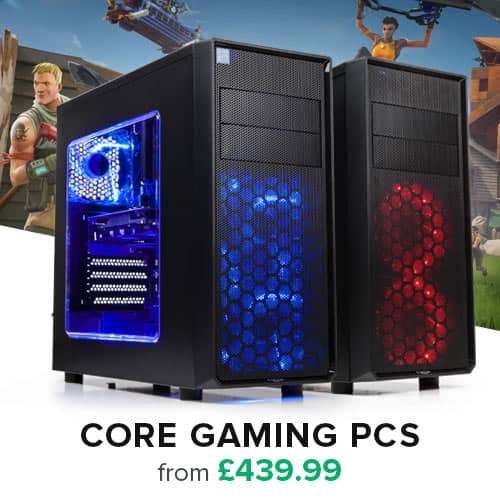 Please double check you Chassis and Motherboard dimension prior to purchase to make sure it fits in your system!
. Note that actual clock will vary depending on actual system condition.